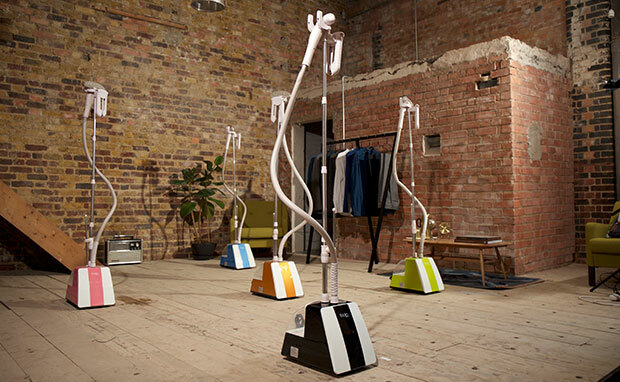 Whether at a trade show or on the internet, a top question we often get asked is what are 5 reasons to replace an iron with a clothes steamer. If you’ve every known anyone who owns a clothes steamer, they are often advocates of why you should ditch the iron and get on your feet with a clothes steamer, but what are they really saying? Let’s get straight to it and explain our 5 reasons to replace an iron with a clothes steamer. There are so many reasons a Fridja clothes steamer is faster than a typical iron. Firstly when clothes are hung up, they are much easier to see how the garment is supposed to hang, rather than laid down on an ironing board. When clothes are hung up, you can see where the creases are and when stroking the steamer head against fabric, they will melt away. When ironing it’s very easy to create creases too. Iron the front and you might be ironing in a crease somewhere on the back! It’s an all too familiar story. When using a clothes steamer and the garment is hung up, you won’t create creases as you aren’t flattening the fabric against a hard surface like an ironing board. Ironing is very difficult and some people never master it. Clothes steamers on the other hand have a very different story. Clothes steamers typically are used in shops, by very inexperienced sales assistants. They learn very quickly and never damage clothes. Do you ever see irons on shop floors? No. Clothes steamers take just a short time to understand and the whole process is very simple. 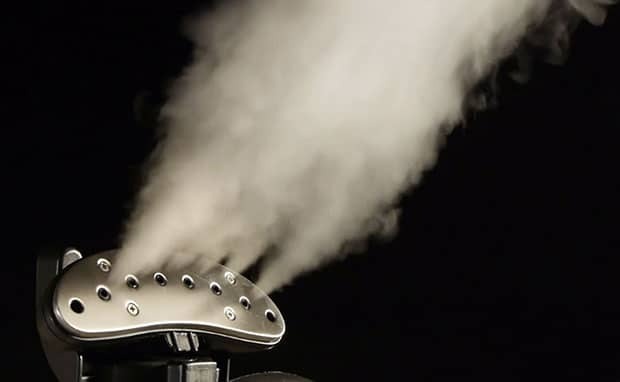 We’ve made this short video highlighting the top five tips on how to use a clothes steamer. Clothes steamers are much more versatile than irons. Irons have hot metal plates that can burn so many materials, whereas clothes steamers only use steamer to relax materials and remove creases. From delicate materials like silk, chiffon, lace, wedding dresses and saris to formalwear like suit and office attire, clothes steamers won’t burn, stick or damage to any fabrics. The use of steam alone is the reason that dry cleaners will use clothes steamers like this and not hot irons on delicate fabrics. In addition you can use clothes steamers around the house. Soft furnishing like sofas, armchairs and even beddings can benefit from hot steam to reduce mild odours, freshen fabrics and make more hygienic. Clothes steamers are also ideal for curtains and drapes, simply steam them whilst hung up. They will look much better than taking them down and ironing them or taking them to the dry cleaners. This will also provide a significant saving in money. Unfortunately for most people, we’ve had that moment where we’ve put an iron onto a piece of clothing that we shouldn’t have and ending up burning it, and ruining the clothes forever. Be it a dress, a pair of trousers or suit jacket that goes shiny or t shirt with print, nobody likes to ruin clothes. Clothes steamers are much more gentle than irons, that’s why they are used in clothes shops all over the world. If you’re planning on decreasing a whole event, like a wedding, you’ll 100% want a clothes steamer. Wedding dresses are expensive and beautiful, they should only be used with clothes steamers, see our video for a quick how to steam a wedding dress. From students to professionals, from those in front of the camera and those behind, we all look better in a freshly steamed outfit. So that means that before we get dressed, we need to prepare our clothes. When you have a Fridja steamer in your room or wardrobe, turning on take 45 seconds and you’re steaming within a minute. Once steamed you leave the shirt, blouse or dress on the hanger ready for your entrance from the shower. 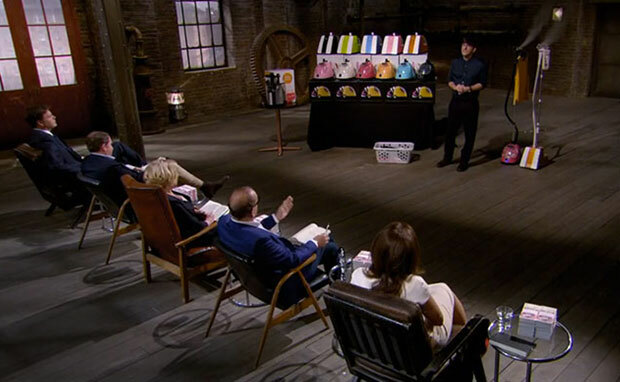 Having a clothes steamer in the corner of the room looks fabulous, just pick your favourite colour. Let’s face it, who’s lived with an ironing board constantly set up in their room like an ugly second table? A Fridja clothes steamer is not only practical, it looks awesome. 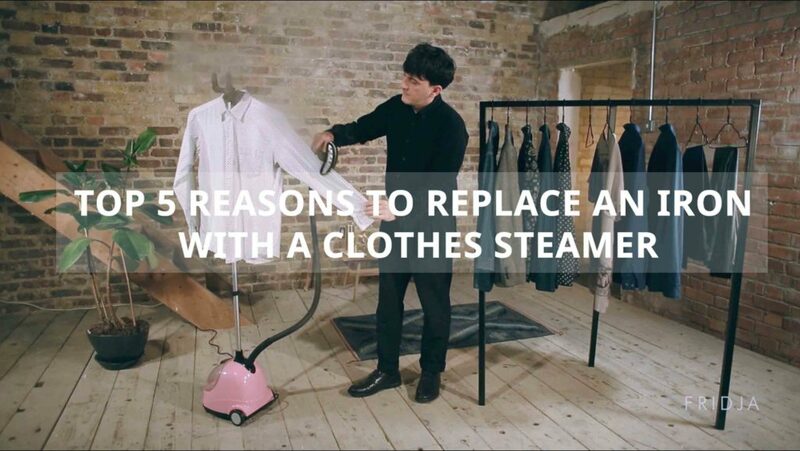 So there are our 5 reasons to replace an iron with a clothes steamer, do you agree? Did we miss any out? We’d love to hear from you in the comment section below. 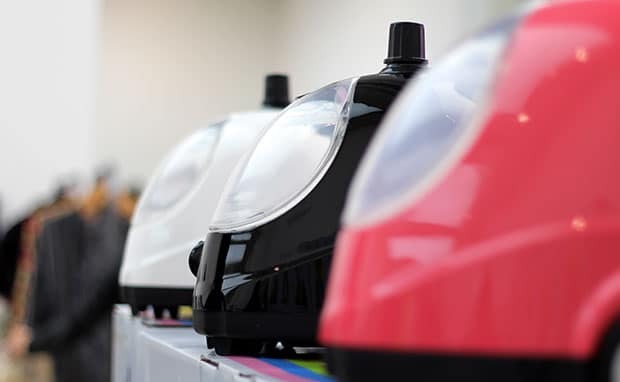 Browse our colourful clothes steamers here and see the improvements we’ve made to our flagship clothes steamers in this blog post here or the video below.